This machine adopts famous PLC, servo system, and touch screen etc, which can accurately control the movements of machine and it is also convenient to operate. Machine covers are transparent PC plate, which is convenient to observe the running state of the machine. The products from the upstream packaging machine enter the wrapper via the conveyer belt. 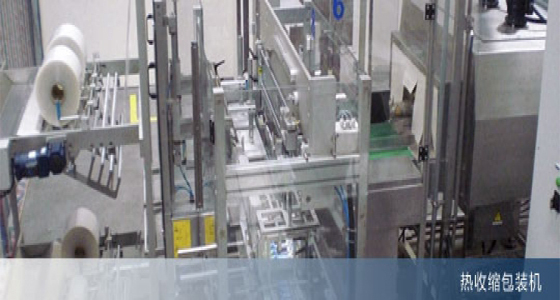 In the wrapper, the products via feed, stack, impelling, tucker, film wrapping, thermal shrink and outfeed processes to complete the automatic production. Different units will stop when jam happens, according to error place. There is also automatic alarm system, which is useful for indicating the running errors.All the motors ?5.5KW are of Grade 2 Energy Consuming according to international standard.